Ragnar Kruse is the CEO and co-founder of Smaato. Since 2005, he has built Smaato into the leading global real-time mobile advertising platform, with over 90,000 publishers and app developers and more than 450 demand partners delivering ads to over 1+ billion unique mobile users per month around the world. As a serial entrepreneur with 30+ years experience in IT, Ragnar Kruse understands the unique challenges in bringing new technologies to market. He has built up several companies from inception to market launch in both the US and Europe. At Intershop Communications, a leader in e-commerce software solutions, Ragnar was VP of Sales and Marketing in San Francisco. During his tenure, Ragnar was instrumental in the company’s growth and ushering it through a successful IPO on NASDAQ and the “Neuer Markt” in 1998, while helping the company to grow from 5 employees to more than 1,000. More recently, Ragnar held key management positions at high-tech companies in the U.S. and Europe including eCharge and Xtramind. Through his many years in IT, Ragnar maintains strong relationships with companies in the telecommunications and mobile sectors. Ragnar started his career as an entrepreneur. In 1980, he founded IPT GmbH, a computer retail business that imported products into Germany from the USA and Taiwan. In 1987 he expanded his business by starting DTP Partner GmbH, a distribution company in Hamburg. Ragnar studied law at the universities of Hamburg and Munich, Germany. Arndt joined Smaato as President in September 2017 and is responsible for Smaato’s core business operations. As one of digital marketing’s pioneers and thought leaders, Arndt brings to Smaato more than twenty years of executive-level experience in business leadership and digital marketing. Prior to joining Smaato, Arndt was CEO of publicly listed PubliGroupe AG in Lausanne, Switzerland, which he guided through its acquisition by Swisscom AG. 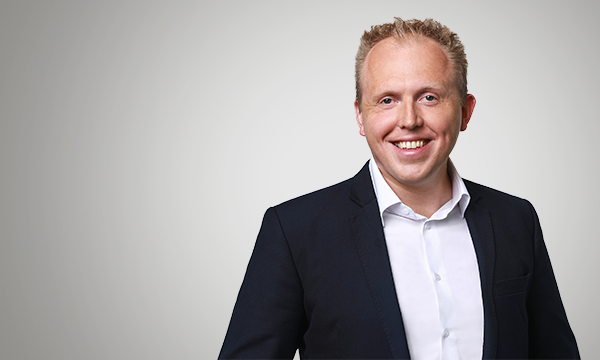 Previously, Mr. Groth founded DoubleClick Germany and then went on to be DoubleClick’s VP Media Northern Europe. He has also been the CEO of InteractiveMedia CCSP AG, a subsidiary of Deutsche Telekom AG. His extensive digital marketing experience also includes leading the European expansion of Adconion Media Group, transforming it into one of the largest independent global marketing networks. He has also served as Managing Partner and Chief Executive Officer of ePages. He started his career on the publisher side at the Georg von Holtzbrinck Group and at Hutchison Mobile. 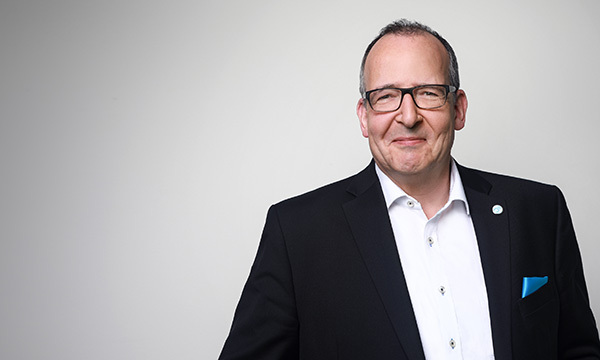 Arndt served as the President of the BVDW (German Association of the Digital Economy), Germany’s leading digital business federation, for 10 years. Additionally, he co-founded one of the digital marketing industry’s most successful, well-known and largest annual trade shows – dmexco (aka OMD). Arndt is a member of the Board of Directors of the Goldbach Group AG, Küsnacht, Switzerland. Petra is a pioneer in the mobile industry. She is one of the first women globally to co-found a mobile company in 2005, and has been successful in growing Smaato to become one of the largest mobile companies in the world, as well as the largest independent global mobile advertising and real-time bidding exchange in the mobile advertising industry, with headquarters in San Francisco and offices in New York, Hamburg, Singapore and Jakarta. Prior to her career in mobile, she was a pioneer and very successful in e-commerce. As founding member of Intershop in 1996, Petra was instrumental in growing the company from a start-up to a publicly-listed company, with a market cap of $12 billion and worldwide offices in Europe, Asia, Australia and South America. She was responsible for all strategic, business and technical partnerships globally. She was largely responsible for Intershop’s $25 billion licensing deal with Deutsche Telekom and their subsequent investment in the company. Prior to her career in e-commerce, she developed international market entry strategies for companies in the US and Europe. Petra is a Silicon Valley veteran since 1981, one of the most globally-networked women executives and sits on several boards and has been appointed to international honorary positions. She is a member of the Global Leadership Team of Women in Wireless, Mobile Chair at GABA and International Board Member at Hamburg@work. Petra was appointed Hamburg Ambassador to San Francisco by the Governor and First Mayor of Hamburg. She was appointed International Ambassador of the Technical University of Hamburg (TUHH) by the president. She was named ‘Mobile Women to Watch‘ by Mobile Marketer and “Top Female Executive” by Mobile Entertainment, as well as “Women Entrepreneur Who Launched a Successful Mobile Startup” in Forbes. She was named by Business Insider as “one of the most powerful women in mobile advertising” and “one of the most influential women in the ad industry”. At Smaato, Oliver leads the global teams that optimize Smaato’s financial performance. He has helped successfully guide Smaato through several major funding rounds that have enabled the company scale to new levels of success. Oliver has more than 15 years of experience building internet and telecommunications businesses. Prior to joining Smaato, he was co-founder and CFO of the mobile platform service provider Exit Games based in Germany and the US. While at Exit Games, Oliver was instrumental in securing funding from high-profile venture capital firms. He previously held a senior position in a leading European online agency and a renowned management consulting firm, where he was involved in a large number of client projects for European telecommunications and media clients. There, he focused on corporate development and finance projects. More recently, he founded and headed a consulting venture in the software business. Oliver received an MBA and Ph.D. from Philipps-University in Marburg, Germany. Georg joined Smaato as the first non-founder in 2006, and currently acts as its COO. Prior to Smaato, he founded and managed Xplain, an internet and consulting agency company that was later acquired by Pixelpark. Georg studied Business Administration at Leuphana University Lueneburg, Germany. Gerry is a seasoned technology entrepreneur whose career has spanned many verticals, including finance/Wall Street, advertising and media and entertainment. Through his prior CTO/SVP Engineering roles at RhythmOne, Agency.com/Designatory, World Wrestling Entertainment and VMS, Gerry not only lead start-ups from 20 to 1,500+ employees, but also brought many significant industry-first solutions to market and delivered triple-digit growth. Prior to joining Smaato, Gerry also played a leading role in multiple IPOs and a large number of acquisitions. As a technologist, Gerry is passionate about building high performance teams, lean DevOps, machine learning, cloud computing, ‘automated everything’ and superfast architectures that can scale to 100s of billions per day. A native South African, Gerry holds a Computer Science degree from the University of Stellenbosch. As Smaato’s Chief Corporate Strategy & Development Officer, Ryan specializes in deal sourcing and execution while leading key strategic activities for the management team and board. Ryan has over 12 years of corporate development and investment experience across digital media and principal investment platforms. He is able to leverage this experience to execute on a range of strategic investments that both drive growth in new markets and platforms. Since joining Smaato in 2014 as Vice President of Corporate Development, Ryan played the lead role in sourcing, structuring, and executing investments with strategic partners. His expertise with acquisitions and corporate finance is key for driving the company’s acquisition growth strategy. Previously, Ryan oversaw the corporate development function at RhythmOne, where he led capital raises and sourced six acquisitions including Grab Media, Rhythm NewMedia, Lyfe Mobile and AdKarma. Ryan holds an MBA from IE Business School in Madrid, Spain, and a BS in Business Administration from the Marshall School of Business at the University of Southern California. As Smaato’s CRO, Glenn leads the scalable and sustainable revenue generation driving Smaato’s next rapid growth phase in the US and globally, particularly in China – the second largest mobile advertising market in the world. Glenn is a true visionary leader with close ties to and experience with global advertisers as well as agencies and deep passion for developing and building data-driven media and advertising solutions. With nearly two decades of executive-level experience leading digital marketing firms during high-growth phases, Glenn has been involved in the digital media space since its inception. He is a proven driver of growth and transformation for technology companies, having held leadership roles in several startups that have either gone public or been acquired. Prior to joining Smaato, Glenn was the founding Senior Vice President of Sales at 12 Digit Media, which was acquired in February 2017 by Westfield Corporation. As the former General Manager of eBay Enterprise’s global display media business, Glenn helped build the company’s first-party audience targeting programmatic platform that reached more than 200 million active global users. Glenn also served as the founding Vice President of Sales at Turn, Inc., where he built the company’s sales team from the ground up and successfully developed and scaled one of the earliest demand side platforms for Cadreon in 2008. Glenn holds a degree in Communication from Santa Clara University and currently lives in the San Francisco Bay Area with his wife and daughter. Freddy is an established product leader, with over 15 years of experience in leadership roles across the digital and mobile industries. He has an extensive executive-level product background in the areas of mobile advertising, app development, virtual reality and digital media. With a proven track record of driving product and development teams to success, he is also an expert in product strategy, product marketing and agile/scrum methodologies. Freddy holds an MBA from Herriot-Watt University in Edinburgh, Scotland, and a BA in International Marketing and Finance from The College of Management Academic Studies in Tel Aviv. Alex’s broad and varied career, spanning more than 25 years, allows him to bring substantial online insight, expertise, and thought leadership to his role as the head of Smaato’s sales and operational activities in the APAC region. His career started with Dutch publisher VNU, one of Europe’s largest trade publishers, followed by a stint at Dennis Publishing, the UK’s largest independent publisher. He was also part of the launch team for Silicon Media Group where he pioneered sales in online video advertising and sponsorships of content. That prompted the move to Yahoo! UK, where, as Head of Agency Sales, he led his team to achieve a 163% growth in sales from the top 20 digital agencies. With a move to Asia in 2007, Alex took up the role of CEO of Aktiv Group in Singapore, offering ad-network, search and affiliate marketing solutions through offices across the globe. He then served as COO of the Catcha Media Group and CEO of Catcha Digital Asia, where he drove sales and product development in online media, publishing, and e-commerce. Alex joined AOL Platforms (formerly Adap.tv) in 2013 as Managing Director of Southeast Asia, tasked with championing the rise of programmatic video and driving sales of AOL’s innovative solutions to buyers, agencies, and publishers in the region. In December 2015, his territory was extended when he was appointed Managing Director for all of APAC, and again in February 2017, when he was appointed Managing Director of Asia and ANZ. Post the Yahoo! acquisition, Alex was Oath’s Managing Director for Platforms in APAC, where he oversaw the platforms and enterprise business. As well as having a sharp commercial focus, Alex is an evangelist for programmatic. He is also a regular on the speaking circuit, recently speaking at ATS Singapore, Spikes Asia, and IAB events. Mohamed leads all sales and operational activities in the EMEA region for Smaato. As the head of both the Business Development and Account Management teams, he oversees the acquisition and long-term development of all EMEA-based client relationships. Since first joining Smaato in 2008, Mohamed has held several roles of increasing senior leadership. During this time, he has played a key role in driving Smaato’s rapid growth and in helping bring over 90,000 mobile publishers and app developers onto the Smaato platform. With over 10 years of experience in the mobile advertising industry, Mohamed’s personal approach and enduring commitment to the individual success of each partner have been key to his success. 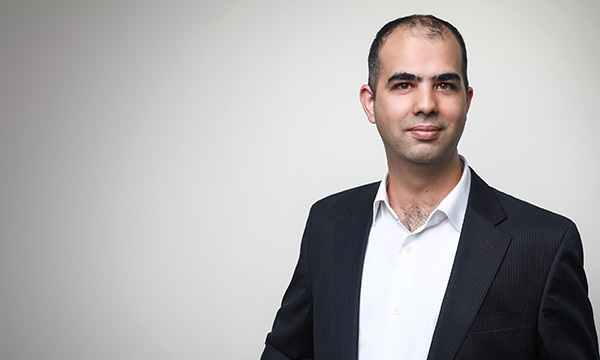 Before joining Smaato, Mohamed held positions in Sales and Marketing at HSV-Arena GmbH and Talkline in Hamburg, Germany and Newton Wayman Chong in Melbourne, Australia. Gregory has more than 15 years’ experience in accounting, taxation, treasury management, auditing, financial operations, financial planning & analysis and controlling. He has established, developed and supervised local and international finance teams and is experienced in SOX control and implementation. He is responsible for multiple financial systems and subsystem optimizations, and consults to core functions in the business such as sales and account management, marketing, publisher and supply services, administration, HR and legal. Delynn has over 10 years of extensive experience in digital and mobile marketing as seasoned strategist in the industry. She has a background in managing global business development, international partnerships, marketing and product strategy. Her experience as a practitioner gives her depth of knowledge in setting up mobile marketing avenues through leveraging technology in the pursuit of mobile strategies and business goals. Over the years, she has been responsible for managing global mobile advertising sales and monetization, product planning and marketing portfolios. Delynn’s focus has always been in driving and evolving business strategies to incorporate mobile media through commercial, product and operational aspects for implementation. Delynn has been actively serving the Singapore community as a volunteer in various associations. As the senior leader of Sales Engineering, Michael leads the interface function between business and technology at Smaato. From onboarding new partners to working closely with the Product team in rolling out and building new products at the forefront of the mobile programmatic industry to assisting partners in more effectively and efficiently achieving their day-to-day business goals, Michael leads a team of well-respected technical experts ready with innovative solutions to challenging and diverse issues. Michael joined Smaato in 2007 as Smaato’s first Product Manager and helped build mobile apps and the original SOMA product as a mediation solution and one of the first mobile advertising products ever. He played a substantial role in building Smaato’s Product team and also turning the original ideas into Smaato’s first RTB exchange. Michael studied computer science and business at FH Wedel. In his current role, Michael has a strategic focus on driving expansion into new markets such as China and delivering technical efficiency and effectiveness solutions for Smaato’s many global partners on both the advertiser and mobile publisher sides of Smaato’s global mobile marketplace. Marc is an experienced software engineer with a distinguished professional background in mobile development and a demonstrated ability to create groundbreaking mobile technology. As the Vice President of Mobile Development at Smaato, Marc will lead the company’s SDK and Ad Tag teams. In order to drive the development of Smaato’s next-generation mobile SDK, Marc is looking forward to growing and mentoring Smaato’s development teams to promote innovation and effective collaboration. Marc brings over 20 years of experience in the field of software development to this role — 12 of which were spent in the mobile software development sector. Marc was attracted to the mobile industry by its constant innovation and evolution, which motivates him to push the envelope of mobile development and collaborate with other leaders and innovators. Prior to joining Smaato, Marc served as CTO of Fishlabs, where he was responsible for creating technology at the forefront of mobile 3D gaming. Marc also previously served as Managing Director of Machine Zone’s German subsidiary, where he established their Hamburg office and led the team in their effort to create cutting-edge technology. Marc holds a degree in Computer Science from Paderborn University. Charles leads Smaato’s supply teams in EMEA, overseeing the region’s new and existing publisher accounts and activities. As a supply-side mobile advertising specialist, Charles is committed to guiding his team in the development of mobile advertising strategies that maximize clients’ revenue and enable them to achieve their monetization goals. Since joining Smaato in 2012, Charles has proven his expertise in the mobile programmatic advertising industry as well as his personal interest in the individual success of every Smaato publisher. During his tenure at the company, he has filled roles of increasing leadership as he successfully increased Smaato’s premium mobile inventory and built up the company’s reputation for outstanding client service. Charles is originally from Canada and studied International Business at the Université Laval in Quebec City. As a senior financial leader at Smaato, Alex drives the company’s focus on financial analysis and business intelligence while also serving as a key decision-maker when it comes to the company’s financial strategy. Alex has been with Smaato for over seven years, joining the company in 2011 as Controller. During his tenure at Smaato, he has taken on roles of increasing leadership while implementing key financial planning processes. In his most recent position as Director of Controlling, Alex vastly advanced Smaato’s Controlling function, significantly extending the company’s modeling, forecasting, budgeting and reporting capabilities while evolving its ability to conduct financial analysis. Alex also played a key role in the launch of Smaato’s joint-venture IMX in Indonesia and the sale of Smaato Holding AG to Spearhead in 2016. Alex holds a bachelor’s degree from the University of Applied Sciences Flensburg. Leading the Americas’ Account Management teams on both the supply and demand sides, Juan’s key focus is upholding Smaato’s reputation for remarkable customer service and striving to be each of our clients’ most valued in-app business partner. Juan also plays a vital role in conducting quarterly business reviews with clients, developing and improving processes via discrepancy and optimization analyses, and mentoring the region’s account management teams. 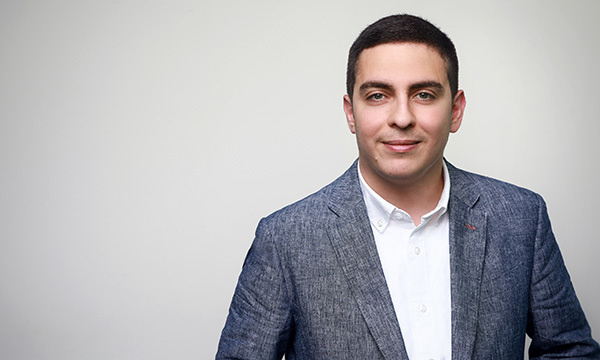 With a decade of digital advertising experience, Juan had an immediate impact on the revenue contribution of Smaato’s existing relationships upon starting at the company in 2017, helping to develop methodical and repeatable processes with outstanding attention to detail and cooperation across all functions and regions. Prior to joining Smaato, Juan was responsible for Display Advertising for Pepperjam’s agency business, where he worked with clients such as Sallie Mae, Kate Spade and Calvin Klein. Juan also led the Pre-Sales Planning team for the eBay Audience Platform and served as a Digital Director at MEC on the AT&T account, driving an evolution in their mobile media tracking and spending. Juan holds a Bachelor of Science in Marketing Communications from Johnson & Wales University. Leading Smaato’s programmatic revenue operations, Umair is focused on identifying and executing new optimization opportunities in addition to managing ad network business partners. Umair has worked in the ad tech industry for over eight years, during which he has developed a deep understanding of the programmatic landscape. Prior to joining Smaato, Umair worked at IDG where he increased revenues by applying optimization techniques to improve the CPM of their inventory. He also previously worked at LiftDNA (since acquired by OpenX), where he participated in the creation of header bidding technology and built optimization methods that resulted in publisher revenue increases of 20-70%. Since joining Smaato in 2014, Umair has played a key role in the continued evolution of Smaato’s global business, contributing to all regions and channels of revenue. His instincts and experience in programmatic strategy and optimization have resulted in consistent revenue growth and increased revenue contribution with Smaato’s key demand partners in the Americas region. Umair holds a Bachelor of Science in Marketing from the West Chester University of Pennsylvania. Jasmine is a hybrid HR practitioner with over 19 years of diversified experience in human resources, administrative, and compliance functions across the logistics, telecom, and advertising industries. As Vice President, Jasmine is responsible for leading Human Resources and Office Administration in the APAC region. She also works in partnership with cross-functional key stakeholders and other global teams, with a focus on growing the APAC team in accordance with Smaato’s HR deliverables and long-term growth strategy. Before joining Smaato, she worked for Ryder Logistic, an industry leader in transportation, logistics and supply chain solutions. She also previously worked for Virgin Mobile (Asia/Singapore) and in the advertising industry with Batey Ads and Iris Worldwide. Jasmine holds a postgraduate diploma in HR & Organisational Psychology and in Talent Management. As a senior leader of product management, Christian is responsible for Smaato’s product team and is focused on the company’s supply and demand product lines. He also plays a vital role in shaping the company’s strategic roadmap — always identifying and executing new products to help clients reach their mobile monetization goals. Since joining Smaato’s product management team in 2010, Christian played a substantial role in building and launching Smaato’s publisher platform, SPX, and its underlying programmatic ad exchange. Over the years, he has taken on roles of increasing leadership while driving the development of major building blocks for Smaato’s product landscape. Christian studied computer science and business at Nordakademie in Elmshorn, Germany.